Some of our best-known secular songs can be altered to refer to God. Actually, some people have already done this, such as Bishop Lester Love (look him up on YouTube). For this article, I am using Chaka Khan’s ’80s hit to do so. “Ain’t nobody loves me better than God!” God’s love is unsurpassed in general quality and personal benefit. Two reasons for the impeccable quality of God’s love: It is both unconditional and eternal. God doesn’t require anything from us to be loved by Him. The Scriptures read in Matthew 5:45, That ye may be the children of your Father which is in heaven: for he maketh his sun to rise on the evil and on the good, and sendeth rain on the just and on the unjust. God’s love is so awesome that both sinners and saints receive it. One great example is when God wakes us up in the morning and allows us to go throughout our day, making our own choices about how we want to live — whether in sin or sanctification. God could simply take out all sinners at any moment and only leave those who have received Christ as Lord. Yet, we serve a merciful God who has a plan even for those who are presently living in sin. Even though we may be in the image of a giving God, our tendency to be self-serving is great. 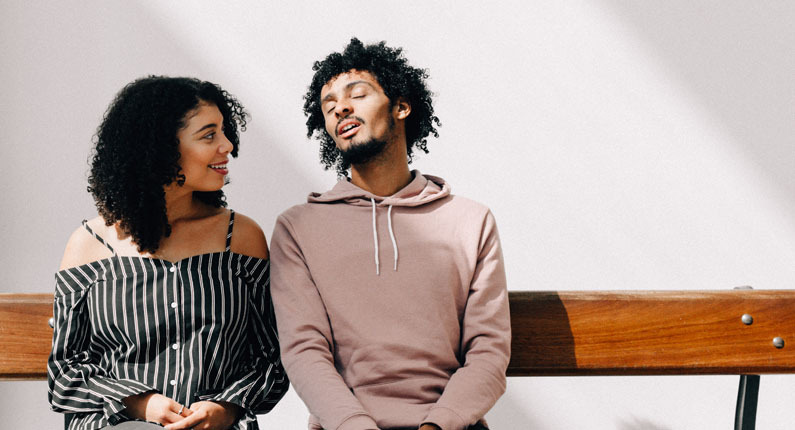 As is often the case in the dating scene, many relationships are based on the principle of “What can you do for me?” The dominating thought typically is, “What can I gain from this relationship?” Selfishness is often the order of the day when it comes to man. From a human standpoint, if a person doesn’t do or have what I want, he or she isn’t for me. We set up superficial conditions that are void of substance for relationships. If Jane doesn’t keep her looks then I will leave. If Max loses his job, I won’t stay with him. A true relationship is not one-sided. It is at least give-and-take, and each person in the relationship should be willing to give. This is the mindset of our heavenly Father, and there are no boundaries on who can receive His love. Also, God’s love is never ending; it is eternal. As previously mentioned, because we set numerous conditions on those with who we are in a relationship, our “love” has a limit. Our mentality is that if you cross me a number of times, I am through with you; three strikes and you’re out. God is not like a fair-weather friend, who loves you one moment, then hates you the next. For example, regardless of the problems that occur between a father and son, technically, the relationship will always be intact. The two will always be related, and the relationship is consistent. The love of God toward man is the same way. We are His creation; God loves us without conditions. Unlike man’s love, the love of God benefits the soul of man for eternity and is always active. Most Christians know John 3:16 by heart (“For God so loved the world, that he gave his only begotten Son, that whosoever believeth in him should not perish, but have everlasting life”). This is the ultimate expression of God’s love. Our heavenly Father gave us the way to salvation in the death, burial and resurrection of His son, Jesus. We, who receive this gift of salvation, are sealed unto the day of redemption. Our souls are set for eternity. One of the reasons for this gift is our need for forgiveness as sinful people. God’s act of giving His son to provide the blood necessary to cleanse our sins is the most important act of forgiveness ever. This love through forgiveness isn’t just for the moment of salvation but throughout the lives of the redeemed. This makes God’s love active. I have often dropped the ball of holiness and had to repent for my sin. Thinking I was still in the doghouse with God, He would surprise me with an unexpected gift a few days later, which may or may not have been something for which I prayed. God blessed me in spite of me. Truth be told, I am a self-professed clotheshorse. I would immensely enjoy a day in the mall with unlimited funds to spend on clothes and fashion. One Sunday, after having blown it big time with an act of disobedience, God moved the heart of a fellow deacon to bless me with a high-quality navy blue, three-button suit from the Bachrach clothing store for men. Because of my recent failure, I didn’t expect such a blessing so soon. This is how our God loves. He doesn’t love when we deserve it or when our actions please Him. God just loves! Period! We are extremely privileged to have such a love of the highest quality and personal benefit. God doesn’t require anything to love us; we only need to receive. God showers the benefits of His love through the consistent, limitless forgiveness that makes salvation possible. As a result, we are obligated to express that same love to others. The next time you hear Chaka Khan’s song, say the chorus with God in mind: “Ain’t nobody loves me better than God.